Josh Lefkowitz executes the company’s strategic vision to empower organizations with Business Risk Intelligence (BRI). He has worked extensively with authorities to track and analyze terrorist groups. Mr. Lefkowitz also served as a consultant to the FBI’s senior management team and worked for a top tier, global investment bank. Mr. Lefkowitz holds an MBA from Harvard University and a BA from Williams College. Evan Kohlmann focuses on product innovation at Flashpoint where he leverages fifteen years’ experience tracking Al-Qaida, ISIS, and other terrorist groups. He has consulted for the US Department of Defense, the US Department of Justice, the Australian Federal Police, and Scotland Yard’s Counter Terrorism Command, among others. Mr. Kohlmann holds a JD from the Univ. of Pennsylvania Law School and a BSFS in International Politics from the Walsh School of Foreign Service at Georgetown Univ. Josh Devon focuses on product vision and strategy at Flashpoint while ensuring the company’s departments function synergistically during its rapid growth. He also works to ensure that customers receive best in class products, services, and support. Previously, Mr. Devon co-founded the SITE Intelligence Group where he served as Assistant Director. He holds an MA from SAIS at Johns Hopkins Univ. At the Univ. of Pennsylvania, he received a BS in Economics from the Wharton School and a BA in English from the College of Arts and Sciences. Jennifer Leggio is responsible for Flashpoint’s marketing, customer acquisition, and operations. Ms. Leggio has more than 20 years of experience driving marketing, communications and go-to-market strategies in the cybersecurity industry. She’s previously held senior leadership roles at Digital Shadows, Cisco, Sourcefire, and Fortinet. She’s been a contributor to Forbes and ZDNet, and has spoken on the importance of coordinated disclosure at DEF CON and Hack in the Box, and on threat actor “publicity” trends at RSA Conference, Gartner Security Summit, and SXSW Interactive. Chris Camacho partners with Flashpoint’s executive team to develop, communicate, and execute strategic initiatives pertaining to Business Risk Intelligence (BRI). With over 15 years of cybersecurity leadership experience, he has spearheaded initiatives across Operational Strategy, Incident Response, Threat Management, and Security Operations to ensure cyber risk postures align with business goals. Most recently as a Senior Vice President of Information Security at Bank of America, Mr. Camacho was responsible for overseeing the Threat Management Program. An entrepreneur, Mr. Camacho also serves as CEO for NinjaJobs: a career-matching community for elite cybersecurity talent. He has a BS in Decision Sciences & Management of Information Systems from George Mason University. Lisa M. Iadanza leads all functional areas of People Operations at Flashpoint, including human resources, talent acquisition & management, employee engagement, and developing high performance teams. In addition to collaborating with the executive team to drive strategic growth, she plays an integral role in fostering Flashpoint’s culture and mission. Driven by her passions for mentorship, employee advocacy, and talent development, Ms. Iadanza has more than twenty years of experience in building, scaling, and leading human resources functions. Prior to Flashpoint, she held leadership roles at Conde Nast, Terra Technology, and FreeWheel. She is a member of the Society for Human Resources Management (SHRM) and holds a bachelor’s degree in management with concentrations in human resources and marketing from State University of New York at Binghamton. Rob Reznick leads the finance, accounting, and corporate development teams at Flashpoint. Rob previously served as Director of Finance & Accounting for 1010data (acquired by Advance/Newhouse), and Director of Finance for Financial Guard (acquired by Legg Mason) after prior work in forensic accounting and dispute consulting. Mr. Reznick is a Certified Public Accountant and holds an MBA and MAcc from the Fisher College of Business at the Ohio State University, and a BBA from the Ross School of Business at the University of Michigan. Lance James is responsible for leading Flashpoint’s technology development. Prior to joining Flashpoint in 2015, he was the Head of Cyber Intelligence at Deloitte & Touche LLP. Mr. James has been an active member of the security community for over 20 years and enjoys working creatively together with technology teams to design and develop impactful solutions that disrupt online threats. 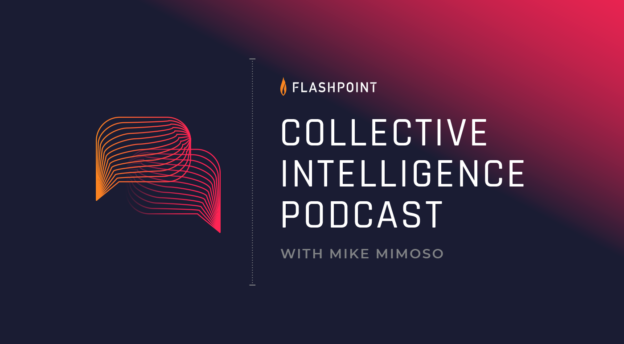 Brian Costello, a 20-year information technology and security solutions veteran, is responsible for leading the Global Sales, Solution Architecture, and Professional Services teams at Flashpoint. Throughout his career, Brian has successfully built security and cloud teams that have provided customers with innovative technology solutions, exceeded targets and consistently grown business year over year. Prior to Flashpoint, Brian led a global security and cloud vertical practice for Verizon. Brian also held senior leadership roles at Invincea, Risk Analytics and Cybertrust. Brian received his B.A. from George Mason University. Tom Hofmann leads the intelligence directorate that is responsible for the collection, analysis, production, and dissemination of Deep and Dark Web data. He works closely with clients to prioritize their intelligence requirements and ensures internal Flashpoint operations are aligned to those needs. Mr. Hofmann has been at the forefront of cyber intelligence operations in the commercial, government, and military sectors, and is renowned for his ability to drive effective intelligence operations to support offensive and defensive network operations. Jake Wells leads the company’s customer success team, serving as an internal advocate for our government and commercial clients to ensure Flashpoint’s intelligence solutions meet their evolving needs. He leverages a decade of experience running cyber and counterterrorism investigations, most recently with the NYPD Intelligence Bureau, to maximize the value customers generate from our products and services. Mr. Wells holds an MA from Columbia University and a BA from Emory University. Brian Brown is responsible for the overall direction of strategic sales and development supporting Flashpoint’s largest clients. In his role, Mr. Brown focuses on designing and executing growth-oriented sales penetration strategies across multiple vertical markets, including both Government and Commercial, supporting Flashpoint’s Sales and Business Development Teams. An experienced entrepreneur, Mr. Brown also serves as CSO for NinjaJobs, a private community created to match elite cybersecurity talent with top tier global jobs and also advise growth-stage cybersecurity companies. Access our archive of intelligence and data from illicit online communities. Near real-time access to finished intelligence and uniquely sourced data. Helping organizations make decisions to combat threats and mitigate risk. Support with building, growing, and maturing client intelligence capabilities. Where Flashpoint analyst share insights from cyber and physical landscapes. Featuring regular interviews with industry experts and Flashpoint analyst. Unique discoveries, observations, and opinions on trending security events. Security practitioners all across sectors are using Business Risk Intelligence. New to BRI? Need a refresher on intelligence tradecraft? Looking for tips on mitigating risk? Join us online or in person at one of our many global events. Interested in learning more about Flashpoint products and services? Interested in joining one of our Partner Programs? Flashpoint has confirmed that some of the infrastructure responsible for the distributed denial-of-service (DDoS) attacks against Dyn DNS were botnets compromised by Mirai malware. Mirai botnets were previously used in DDoS attacks against the “Krebs On Security” blog and OVH. As of 1730 EST, the attacks against Dyn DNS are still ongoing. 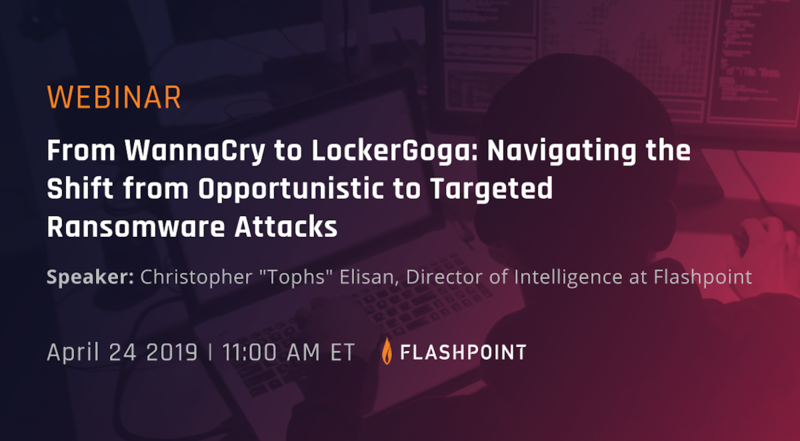 Flashpoint is coordinating with multiple vendors and law enforcement to track the infected devices that constitute the botnet being used to conduct these attacks. Flashpoint will continue to monitor the situation to ensure that clients are provided with timely threat intelligence data. Flashpoint has confirmed that some of the infrastructure responsible for the distributed denial-of-service (DDoS) attacks against Dyn DNS were botnets compromised by Mirai malware. Mirai botnets were previously used in DDoS attacks against security researcher Brian Krebs’ blog “Krebs On Security” and French internet service and hosting provider OVH. Mirai malware targets Internet of Things (IoT) devices like routers, digital video records (DVRs), and webcams/security cameras, enslaving vast numbers of these devices into a botnet, which is then used to conduct DDoS attacks. Flashpoint has confirmed that at least some of the devices used in the Dyn DNS attacks are DVRs, further matching the technical indicators and tactics, techniques, and procedures (TTPs) associated with previous known Mirai botnet attacks. While Flashpoint has confirmed that Mirai botnets were used in the October 21, 2016 attack against Dyn, they were separate and distinct botnets from those used to execute the DDoS attacks against “Krebs on Security” and OVH. Earlier this month, “Anna_Senpai,” the hacker operating the large Mirai botnet used in the Krebs DDoS, released Mira’s source code online. Since this release, copycat hackers have used the malware to create botnets of their own in order to launch DDoS attacks. It is unknown if the attacks against Dyn DNS are linked to the DDoS attacks against Krebs, OVH, or other previous attacks. Given the proliferation of the Mirai malware, the relationship between the ongoing Dyn DDoS attacks, previous attacks, and “Anna_Senpai” is unclear. As of 17:30 EST, the attacks against Dyn DNS are still ongoing. 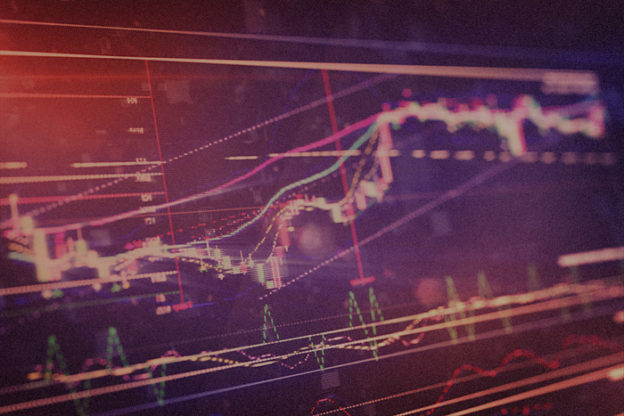 Flashpoint is coordinating with multiple vendors and law enforcement to track the infected devices that constitute the botnet being used to conduct these attacks. Flashpoint will continue to monitor the situation to ensure that our clients are provided with timely threat intelligence data. Developing intelligence requirements for the public sector is a different experience than what commercial-sector counterparts endure. Nimble threat actors have lately focused on a much more targeted approach to potential ransomware profits.